Thrillers intrigue me but there’s only a handful of books that have truly made me scared, ‘Jurassic Park’ being the most memorable. While reading that one, I saw sneaky velociraptors just waiting for me around every corner, even though the movie was just silly. It was probably Michael Crichton’s ability to create a horrific yet plausible scenario. 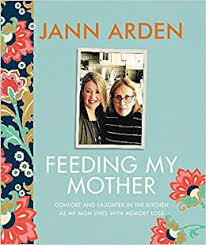 And I remember once finishing a book in our en suite bathroom after my husband had gone to bed, because I couldn’t stand being alone in the living room. It was some murder mystery – wish I could remember the title. Somewhat in the style of S.J. 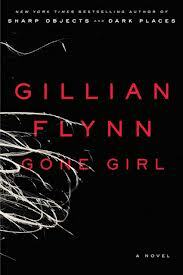 Watson’s Before I Go to Sleep, ‘Gone Girl’ is a psychological thriller with an ingenious plot. It is a smart and sassy suspense novel, not exceptionally well written, but well worth the read if you are not bothered by some crude language and adult content. There are some very surprising twists and turns and after I reached the middle of the book, I couldn’t put it down. Hollywood is on to it too. Reese Witherspoon has been identified for the role of Amy in the movie scheduled for 2015. Who will be the handsome Nick? One morning a wife suddenly disappears from her home. The police suspect the husband but something feels wrong with this easy assumption. The book is narrated by both the husband and the wife so the reader can enjoy a comparison of their points of view. It becomes obvious that the five year marriage was disintegrating and Amy was afraid of her husband. She kept secrets from him and what about the persistent calls on his mobile phone? What did really happen to Nick’s beautiful wife Amy? This entry was posted in Fiction and tagged domestic suspense, Gillian Flynn, Gone Girl, thriller. Bookmark the permalink. I read this book a while ago… and agree. It is not very well written, and sometimes I just wanted to say “awww c’mon!” But, I also could not put it down. A fun read.